MiMobiTV maker Apalya brings international and national television onto your mobile screen. By partnering with 140 content providers, such as STAR TV, Set Max, Disney, Turner, BBC and ESPN, as well as top telecom operators, the company has steadily grown its user base in the country to reach a total of six million. The Hyderabad-based firm is now launching MiMobiTV in other countries. 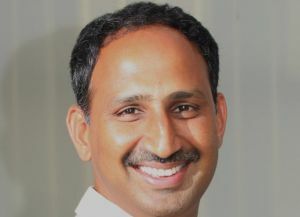 In a quick interview with Techcircle.in, Vamshi Reddy, Co-founder and owner of Apalya Technologies, discusses popular TV-viewing habits, time-shifting and other rising trends, his strategic plans for the year ahead and the company's global footprints. What are the typical usages and trends you have witnessed in mobile TV consumption? We have observed a positive and encouraging trend in the usage of mobile TV services, especially with the launch of 3G networks. Consumption of services per user has now grown 2.5 times. It follows similar patterns of consumption that television traditionally had, which clearly corroborates the fact that mobile TV is an extension of television-viewing habit. TV applications on mobiles compliment consumers' interests. We have also observed that genres such as news, live sports event or prime-time viewing mirror the trends of television viewing. How many users do you have for Mobile TV? Also, what's the number of MiMobiTV app downloads on an average? We currently have six million users. Overall, downloads per month have doubled, as compared to last year. MiMobiTV is now downloaded 350,00-550,000 times per month. Our existing users are mostly from Indian telcos and they are a mix of post-paid and pre-paid mobile users. During the CWC or the IPL, we experienced a huge surge in downloads. How many users were added during the IPL season? We added 1.5 million subscribers. Besides cricket, what are the programme categories which are most promising? Live events and news have always been the preferred programmes. Of late, we have also found huge attraction towards entertainment content â€“ mostly television content, music and movies. Regional content is also very popular. I expect catch-up content and time-shift-viewing will gain traction in the time to come. But compared to YouTube, Facebook videos and other video-sharing sites, why would users choose mobile TV services? Mobile TV offers a unique proposition â€“ that of live television content. You can catch up with your favourite shows, music, movies and other lifestyle-related videos. And the biggest convenience of mobile TV is that you can watch those events live â€“ anytime, anywhere. What is the opportunity in the mobile TV space in India? What is your future strategy for mobile TV? Today, I would say that we are still in seed stage for mobile television services. But device costs are going southward and consumers are adapting to data usage and apps on the mobile. So, the opportunity is huge. Fourth-generation networks will enable true convergence and we foresee that consumption on multiple devices will become a reality for consumers. They will shift seamlessly across different networks, on devices with differing resolutions. We are gearing up to cater to these evolving technology needs and are also adding different content formats â€“ both long and short. We also expect to double our subscriber base over the next 7-10 months. International expansion is a key strategic focus area for us. We have recently entered the Indonesian market and we are also making rapid inroads into other geographies. The company has also started expanding in South Asia and we are in talks with telecom operators in the Middle East and Africa.